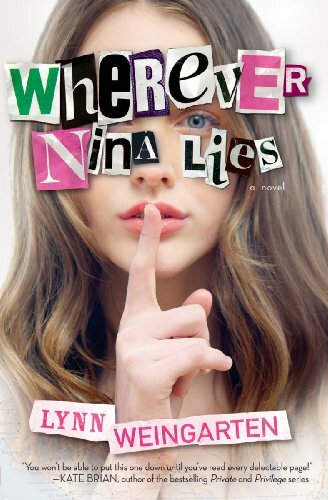 Nina was living life big with her younger sister, Ellie, until one day she just never came back, disappeared, gone, and lost. Ellie then began trying to forget all about her loved sister, but she co uldn’t. She knew there had to be a purpose for her sister’s disappearance. She was going to get to the bottom of it. She then she found a piece of drawing which her sister drew, noticing a phone number written on it. Then she called the number, but the person denied ever knowing Nina. She then arrived at a party; going around asking if they knew Nina, a boy, Sean, caught her eye. He then volunteered to help Ellie find her lost sister. Then Sean and her set off on a crazy, romantic, and interesting road trip with only knowing each other for about a day. She was just caught by his good looks, charming self, and the willing of him to help her. Along this long journey she discovers many shocking and surprising things. The most important thing she discovered is the truth about her sister and Sean. This book was such an amazing and great read. I was on the edge of my seat ever since the road trip started. There was one shocking thing followed by a crazy thing then followed by a surprising thing that I would never thought would happen. This book is full with the craziest, most interesting, and mind blowing events. This book was so good; I was literally reading it for a week straight, not being able to put it down. The author does a great job of introducing and developing the characters throughout the book. I would be more than happy to read this book again. I recommend this book to mostly girls because it has its romantic side, but boys would probably still enjoy it because it has a great story line.